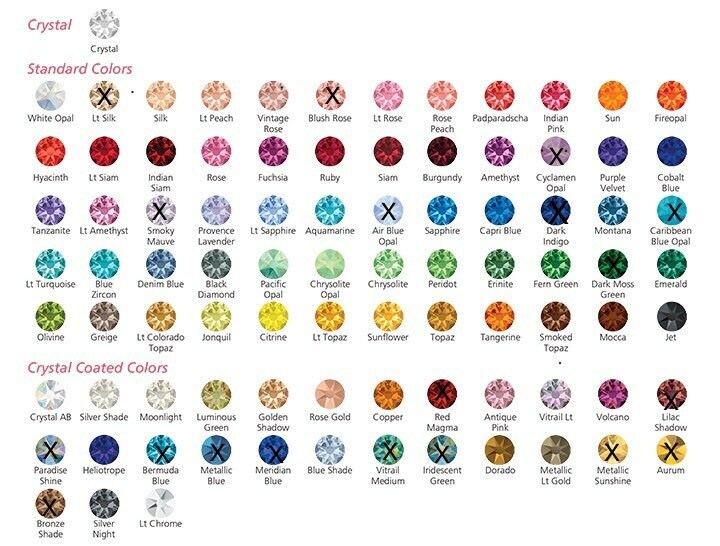 I carry in stock +80 Swarovski Crystal colors! Also available in a rainbow of colors.. Ask Us! Tight enough not to fly off when walking! ONLY AVAILABLE in WHOLE sizes..need help? Contact Us! "I look forward to creating for you!"